Lloyds overhauls overdraft fees: will you be better or worse off? Lloyds Banking Group – the UK’s biggest provider of current accounts – is embarking on a radical overhaul of its overdraft charges, including scrapping the high fees customers face for tipping over their overdraft limit. But while the bank says that nine out of 10 of their customers will be better off or in the same position, people with large overdrafts could end up paying more under Lloyds’ new system. As of November 2017, overdrafts on current accounts from Lloyds Bank, Bank of Scotland and Halifax will be charged at 1p a day for every £7 the account is overdrawn – whether you have pre-arranged an overdraft facility or not. Last year, research carried out by Which? found that using an unplanned or unarranged overdraft could cost as much as £156 more than using a payday loan. At the most extreme, borrowing £100 for 30 days in an unplanned overdraft could cost as much as £180, compared to the maximum £24 interest charged on a payday loan. In 2014, banks generated £1.2bn in revenue from unarranged overdraft fees. How do Lloyds’ new overdraft fees work? After November 2017, Lloyds Banking Group will no longer charge additional fees to customers who go overdrawn without a pre-arranged facility. All customers will pay the same rate of 1p per day per £7 overdrawn, with no additional charges. Under the previous system, customers with Lloyds Bank, Halifax and Bank of Scotland accounts were charged varying levels of monthly interest or daily fees, as well as a £6 monthly fee. For unplanned overdrafts, customers were charged an additional daily fee, plus extra charges for rejected payments. This table shows examples of how Lloyds Banking Group’s existing overdraft charging structure works. Under this system, Which? found that a customer going £100 over their overdraft limit for 30 days would pay £80 with a Lloyds Classic account and £100 with a Halifax Reward Current Account. But if these 30 days crossed over two billing periods – for example, you were normally billed on the 30th of the month, and the overdraft was from the 15 June to the 14 July – you’d end up paying £160 in fees with Lloyds and £150 with Halifax. Which? has long campaigned for changes to unplanned overdraft fees, and hundreds of consumers have told us about their experiences of them. One supporter who was 11p overdrawn was charged £15; another who went £2 overdrawn was hit by a £90 fee. Under Lloyds’ new system, customers who accidentally overspend on their account without first arranging an overdraft facility will see their fees fall with the new approach. A customer who goes over their overdraft limit by £100 for 30 days would end up paying around £4.28 – a potential maximum saving of £155.72 with Lloyds Bank and £145.72 with Halifax. However, some customers who used to have prearranged overdrafts may end up paying more in certain circumstances. As an example, take a Classic Account customer who uses £750 of their £1,000 planned overdraft limit for 15 days. With the new calculation, that customer would pay £16.16, compared to just £11.45 under the previous rules. 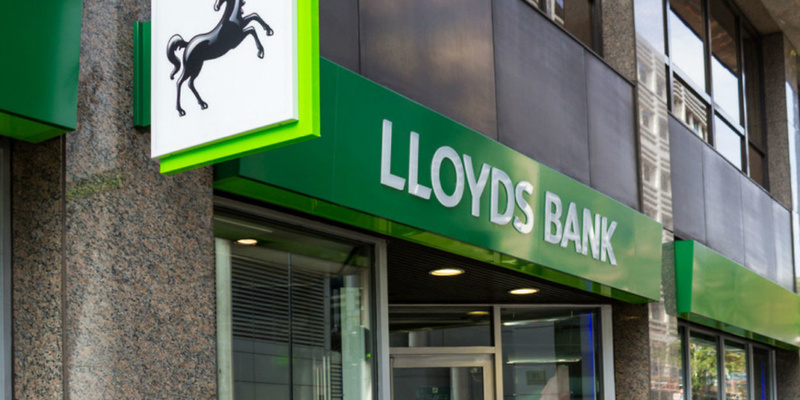 Lloyds acknowledged that some of its customers – particularly those with larger planned overdrafts – would pay more under the new scheme, but estimated that nine out of 10 would be better off or unaffected financially. It says it will write to customers to help them understand the transition, and will offer ways to help customer who may be worse off under the changes to reduce their debt or find more appropriate ways to borrow. Join the conversation: How do you feel about Lloyds’ new overdraft fees? Overdraft fees have been the subject of controversy in the past year. In February this year, Which? research found that an overdraft as little as £100 from a high-street lender could attract fees 7.5 times more than payday loan companies were allowed to charge, for the same amount over the same period. In August 2016, the Competition and Market Authority (CMA) released its Retail Banking Market investigation, which identified overdraft fees as an area of concern. To combat the lack of transparency around overdraft fees, the CMA required banks to set and publish a monthly maximum charge for unplanned overdrafts. It also required banks to enrol customers into an unplanned overdraft alert system and offer a grace period to allow customers to remedy unplanned overdrafts. All banks must comply by the third quarter of 2017. In November 2016, the Financial Conduct Authority announced a review into overdrafts and high-cost credit. The report is due in Summer 2017, and is expected to introduce regulations targeted at the transparency of overdraft fees. Which? chief executive Peter Vicary-Smith welcomed the move by Lloyds, but urged the bank to work closely with its customers to understand the changes. He also urged the FCA to act on excessive fees for unarranged overdrafts. Are you over the moon with Lloyds new approach to overdraft fees?